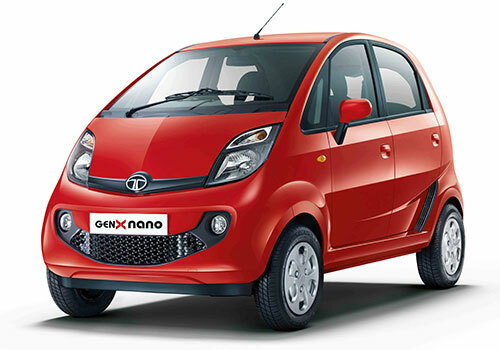 I bought Tata’s Nano for my wife keeping in mind her daily conveyance requirement. She was much interested in buying Activa but the hot price of Nano and the overall good reputation of Tata made me go for Nano over Activa and its always better to drive a car than a scooter and if you are carrying loads of luggage than car becomes a necessity. She is driving it for the last one year and is very satisfied with the overall performance of the vehicle. Exteriors are good, elegant and give Nano a beautiful look. Front looks much better than the rear. Rear is a typical Tata design and most of their vehicles carry same backside look. Tyres are small and are inefficient to bear our dirty uneven roads and sometimes when I hit a big hole, car’s body touches the ground. Suspension provided is not good enough and with small tyres the problem becomes twofold. It sounds like a diesel taxi and one thing that comes in my mind every time I see my wife driving it is, I have gifted her an advanced taxi with doors and a/c. Nano certainly lacks a car feel and I compared it’s exhaust system (I am very confident) looks exactly similar to what diesel taxi has. Interiors on the front side are good enough with much better legroom than the rear which is cramped and makes me feel suffocated. Boot space is of no use. Engine is quite powerful and pickup is the only aspect I like about the car. Handling is good and is a perfect city ride with minimum turning radius and small size enables to park it very easily. Overall it’s a good conveyance but lacks a good car feel. is there any safety, when it colliades with any car.